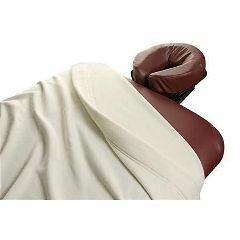 Lightweight blanket helps keep clients warm and relaxed before, during and after the treatment. Choose from natural or white. Machine washable. 60" L x 88" W.